Today is the final day to register for Defending the Faith, our West Coast Conference, we will send you R.C. Sproul’s video teaching series Defending Your Faith as a bonus resource. In addition to two days of teaching from gifted teachers like W. Robert Godfrey, Steven Lawson, Stephen Nichols, Burk Parsons, and Ravi Zacharias, you’ll also receive R.C. 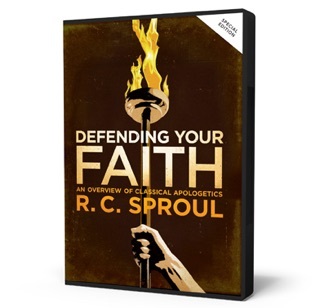 Sproul’s 32-message DVD series on apologetics. Register today to be better equipped to defend your faith and we’ll see you in Seattle June 8-9. Offer ends at 11:59pm PT.